Welcome to The Plough, home of the warm welcome. 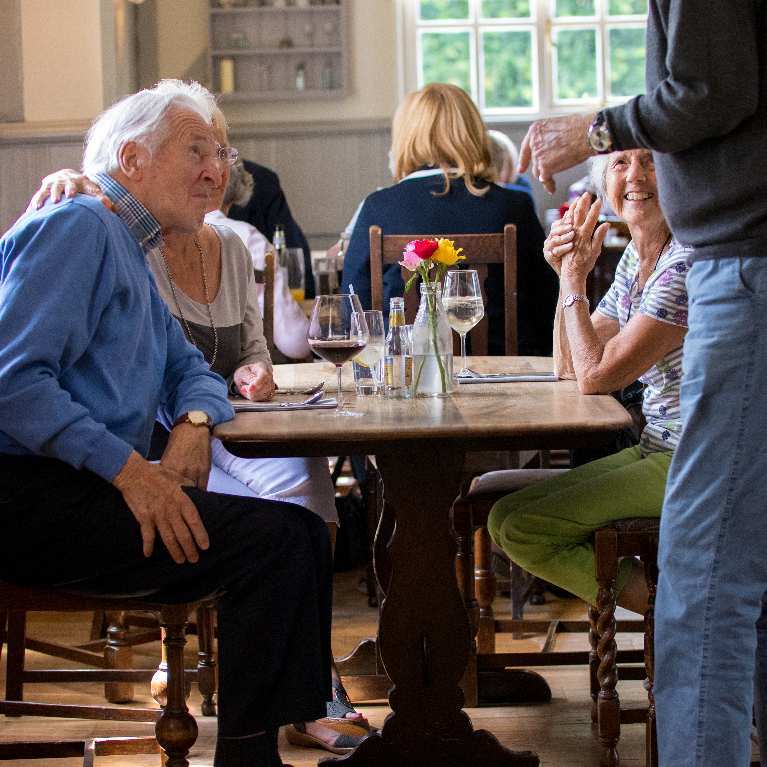 We are all about high quality food & drink, to be enjoyed in a relaxed, friendly & familiar environment. We hope to see you here soon. The Plough has a small team led by new arrivals George & Ewa Gillett. Between them, they have a heathly dose of experience, having run pubs in Exmouth & Balham. Backed up by the steady presence of deputy manager Peter Jones & the rest of the team, we look forward to seeing you here. There is simply no better place to enjoy a meal or drink than to sit in a beautiful garden surrounded by bird song. Fruit, herbs & nuts grown in the garden are all used by our kitchen team in the food served daily. There are lots of things for the whole family to do nearby to work up an appetite. To name a few; National Trust's Polesdon Lacey, Bocketts Farm Park, RHS Wisley gardens, Lots of beautiful cycle routes and walks, Silent Pool distillery ... why not come sample it for yourself here after your adventures! We are proud supporters of the RDA (Riding for the Disabled Association) and Topic of Cancer. We are always looking to get involved with other local charities & community groups. If you would like some support please contact us.